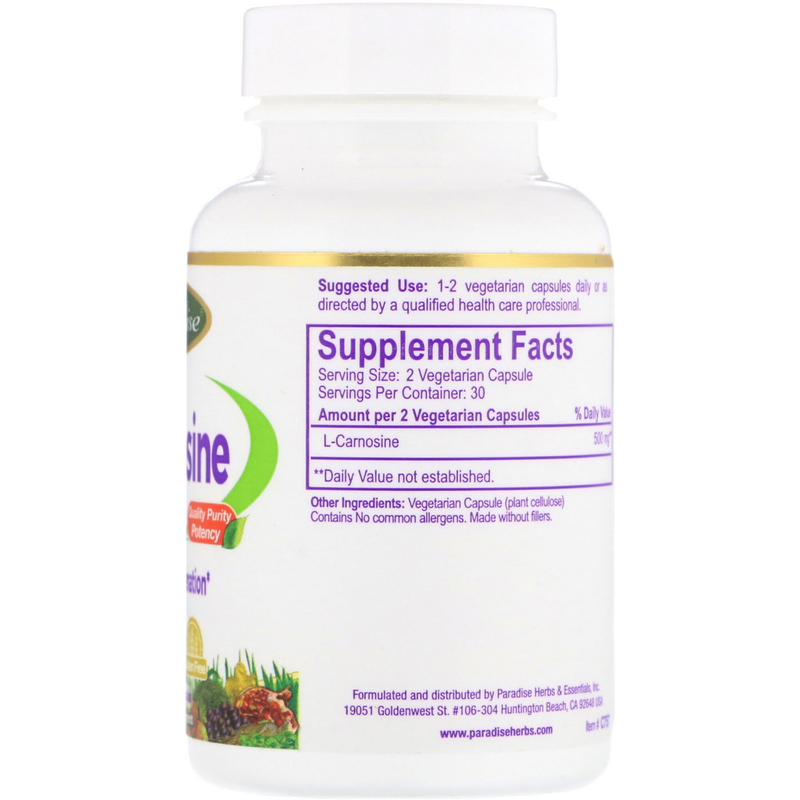 Paradise products have won 9 Best of Supplements Awards. We are dedicated to sourcing premium ultra pure ingredients that meet the highest standards of excellence. 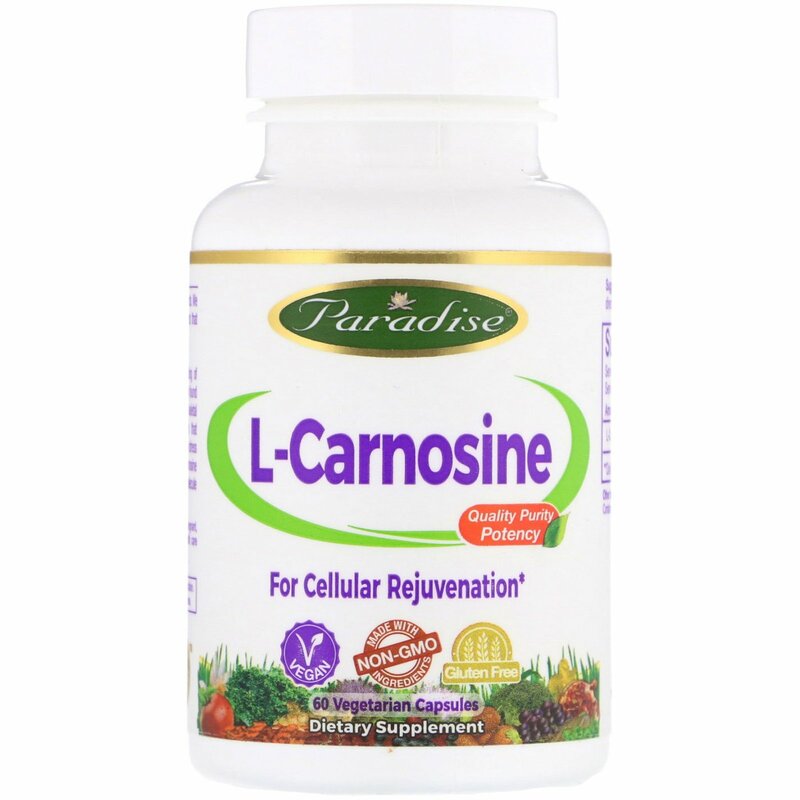 L-Carnosine is a proton buffering neuropeptide consisting of alanine and histidine (beta-alanyl-L-histidine). It is normally found in the brain, innervated tissues, the lens of the eye and skeletal muscle tissue. Current scientific research suggests that L-Carnosine has the ability to protect cells against oxidative stress that can cause premature aging and cellular damage. L-Carnosine has heavy metal, free radical and active sugar molecule scavenging activity.